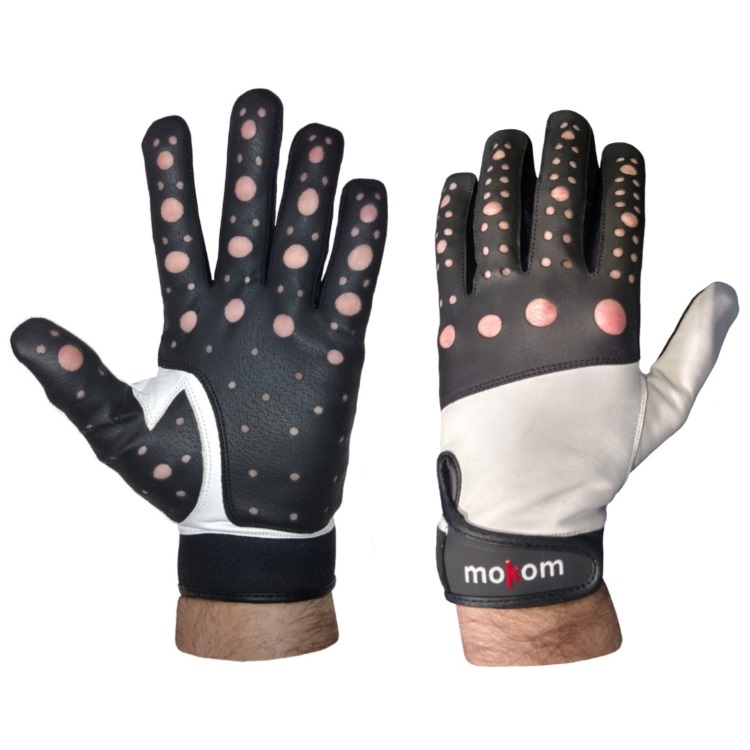 The mokom baseball gloves were specifically designed for baseball and softball players that require the optimal BALANCE of a sensitive NATURAL TOUCH for the ball and improved HI-TECH GRIP inside their glove. 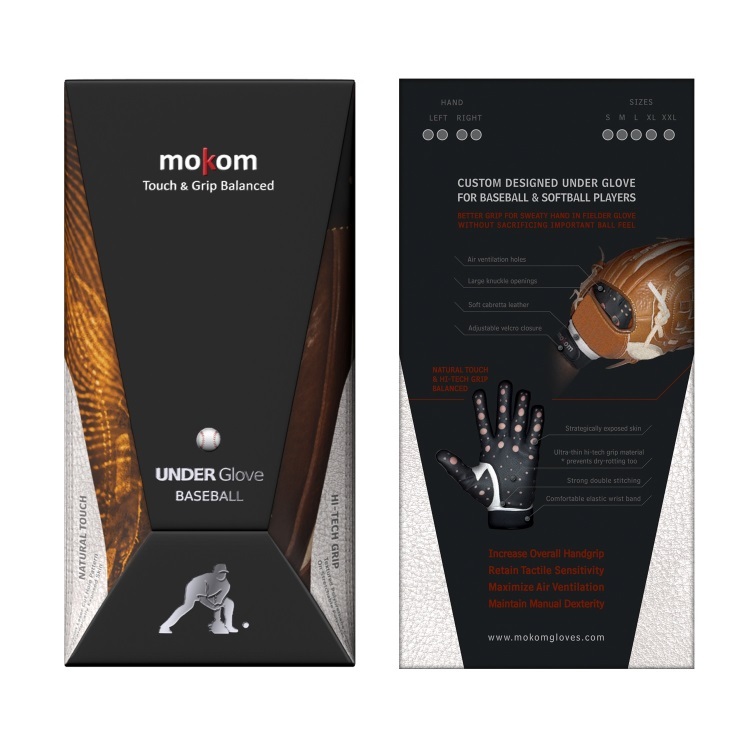 This ultra-thin inner glove is made with a unique material for better grip of a normally sweaty hand inside a leather glove without sacrificing important ball feel. 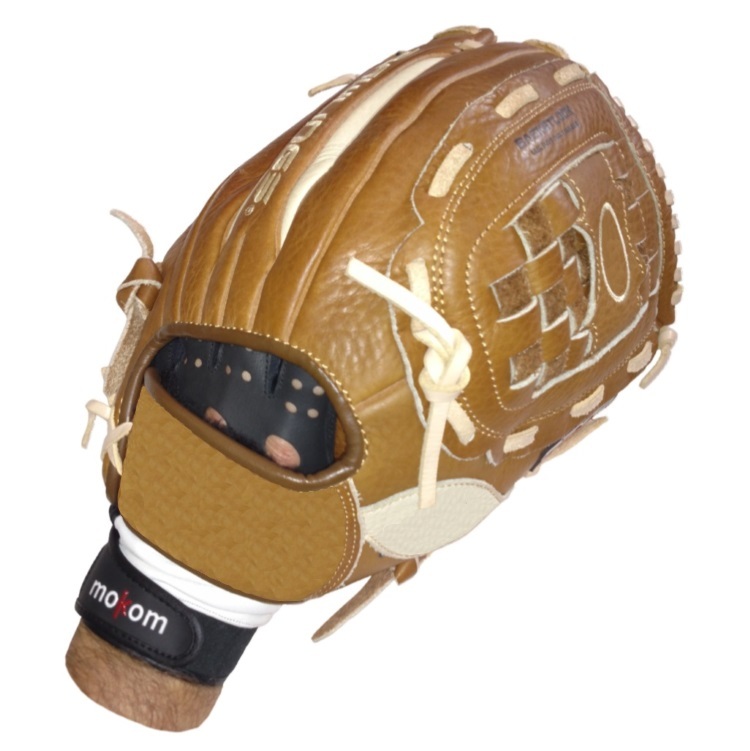 This super breathable underglove is ideal for fielders, but NOT FOR BATTERS. 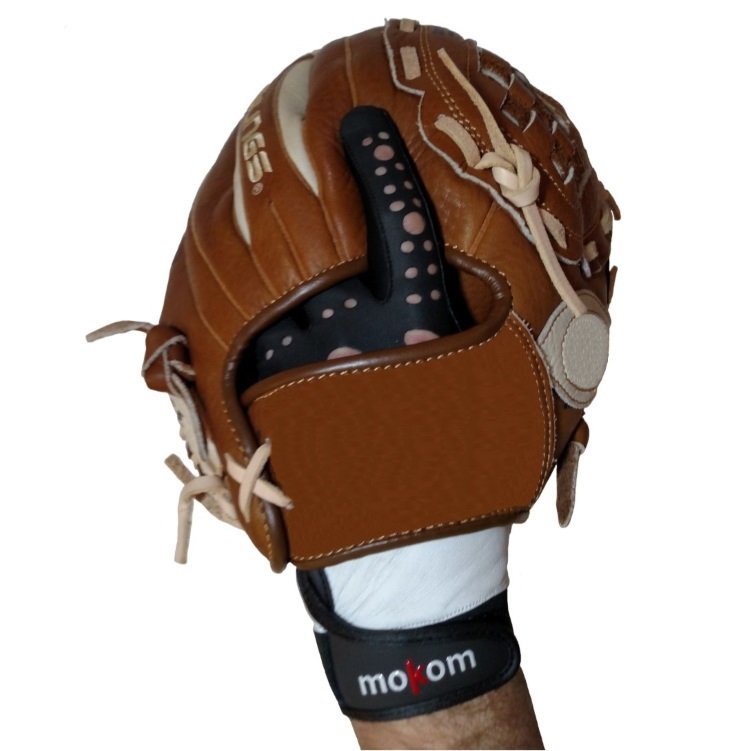 The mokom baseball gloves were custom designed to meet FOUR important parameters: 1. 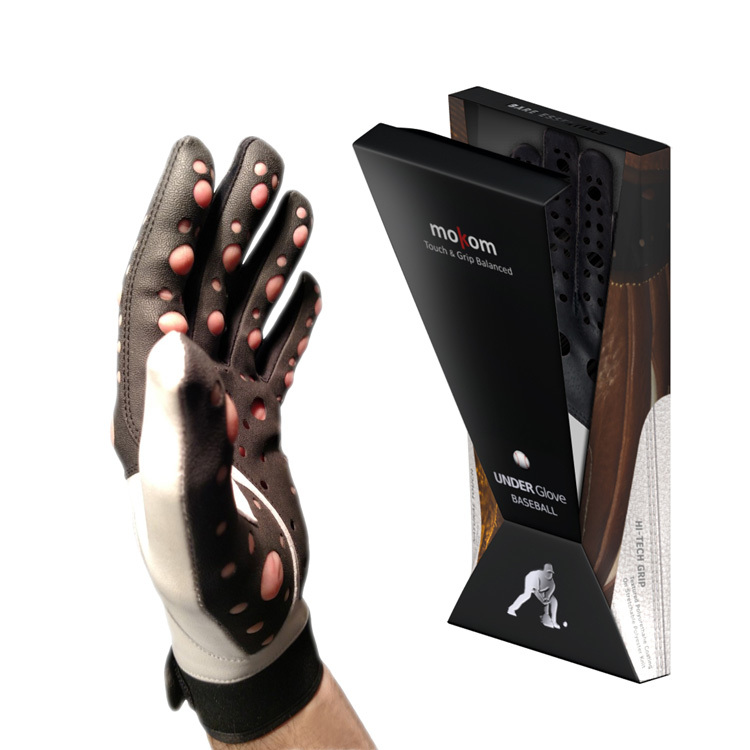 Increase Overall Handgrip 2. 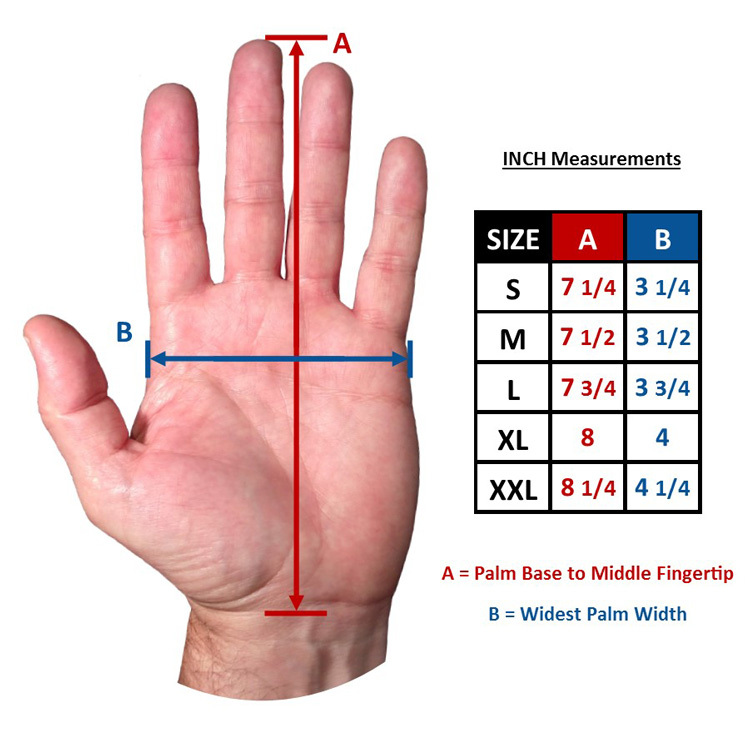 Retain Tactile Sensitivity 3. Maximize Air Ventilation 4. 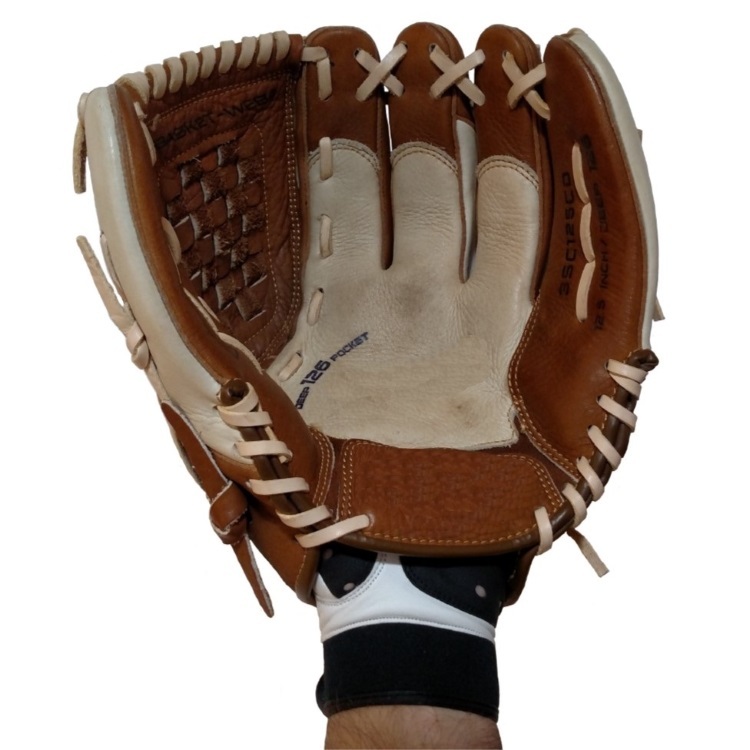 Maintain Manual Dexterity.